Steve Ballmer is on his way out the door...slowly. While we'll have up to 12 months to hear about the big man at Microsoft's decision to leaving and much, much more, we have insight into his life and times at the tech titan today. Mary Jo Foley snuck in 15 minutes with Steve, and though their conversation swung on a number of pertinent topics, the guy who's been at Microsoft since 1980 let out that his biggest regret is a five-letter word. "Oh, you know, I've actually had a chance to make a lot of mistakes, and probably because, you know, people all want to focus in on period A, period B, but I would say probably the thing I regret most is the, what shall I call it, the loopedy-loo that we did that was sort of Longhorn to Vista," he said. "I would say that's probably the thing I regret most. And, you know, there are side effects of that when you tie up a big team to do something that doesn't prove out to be as valuable." 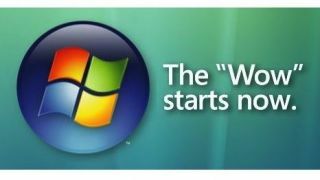 It took Windows Vista five and a half years to follow Windows XP. It was finally launched it in 2007 after Microsoft rejiggered the codebase halfway through development. The end result was less - way less - than ideal. As pointed out by The Verge, Ballmer spoke in 2010 about the fallout of taking too long to create Vista. "We tried too big a task and in the process wound up losing thousands of man hours of innovation," he said at the time. The distance of time and the legacy of new innovations like Windows 8.1 will probably help Ballmer sleep during his retirement (oh, and his millions), but he does have one feel-good positive from his time at the Soft. "I'm proud of being, I would say a significant part even, of the birth of intelligent personal computing, the notion that people use computing technologies, whether that's phones, PCs," he told Foley of the thing he's most proud of. "If I had to sort of couple it, I'm very proud that we were able to make this incredible impact on the planet and at the same time do a good job for our shareholders." Read Dan Grabham's take on the Microsoft Ballmer will leave behind.